Growing up my oldest sister was always girly. She always had the toe rings and ankle bracelets. Everything had a touch of fun and maturity. I went on to have chokers and wore all black. Now I feel like I have evolved more into my sister in my older age. Ankle bracelets are usually not my thing. They get in the way, hurt you sometimes, and they are easier to lose than a regular bracelet. My OCD has me checking things all the time. If I have a necklace on, I have to keep feeling it to make sure it is still there, the same with money zipped into my purse. 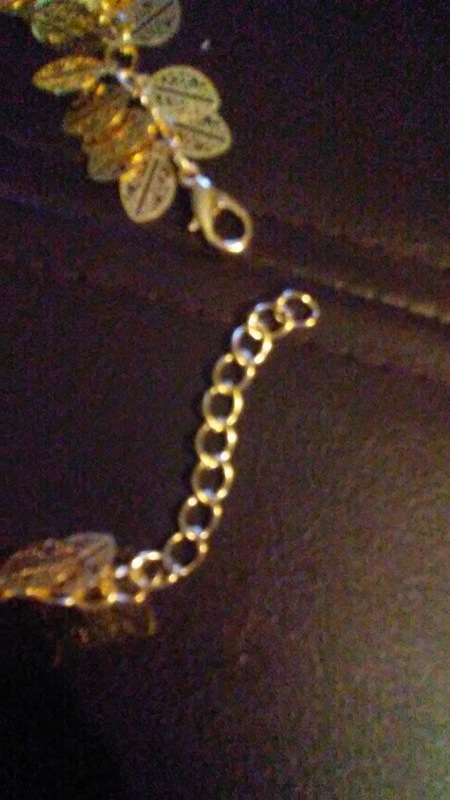 Something about this ankle bracelet made me want to chance it though. As soon as you see it in person, you see why. You think leaves...why leaves. But those leaves are gorgeous. You have to see the way they fall when you wear the bracelet. It has yet to hurt me no matter what type of pants or capris I am wearing. I think I would hurt it before it hurt me. 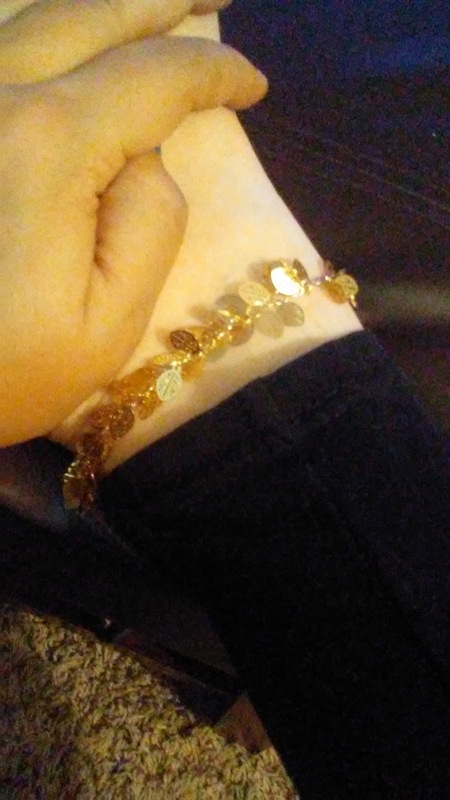 I think this ankle bracelet is gorgeous and easy to wear. The look and feel is nice especially when you love fall or love to usher in the seasons with diferent pieces of clothing. Either way, you need to check out this adorable ankle bracelet. So far I haven't experienced any greening of my ankle from this piece. 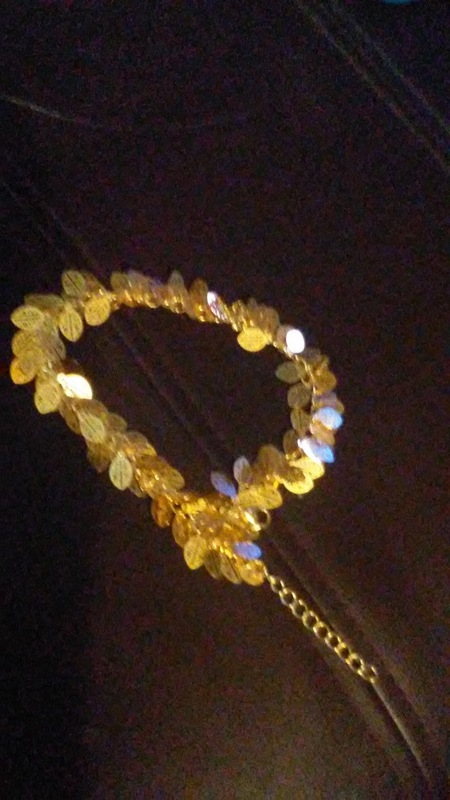 The arthritis has been killing me lately, but this bracelet was still easy to get on and off. 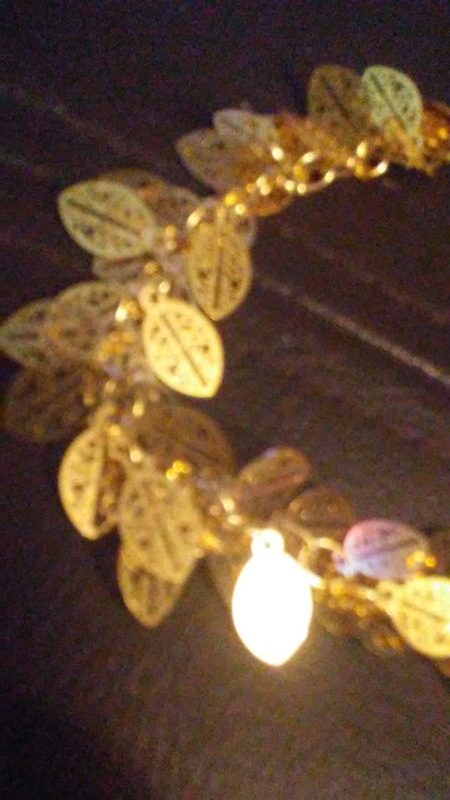 You need to go to Amazon and check it out, it comes in gold and silver and I believe they even have matching sets with necklaces. Thank you for reading everyone, I received this product at a discount in exchange for my honest review.